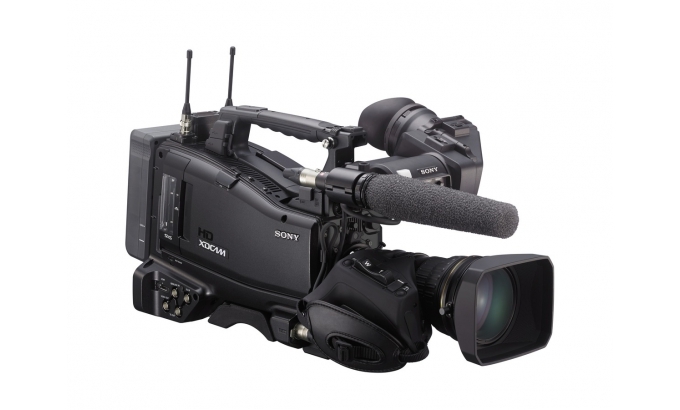 Sony introduced the PXW-X500, a solid-state memory XDCAM camcorder that combines sensitivity of picture capture with a proven, comfortable ergonomic design and support for a wide variety of recording formats. The PXW-X500 delivers superior picture quality thanks to its unique three-chip 2/3-inch type new CCD image sensors, serving to remove issues associated with motion artifact and rolling shutters. 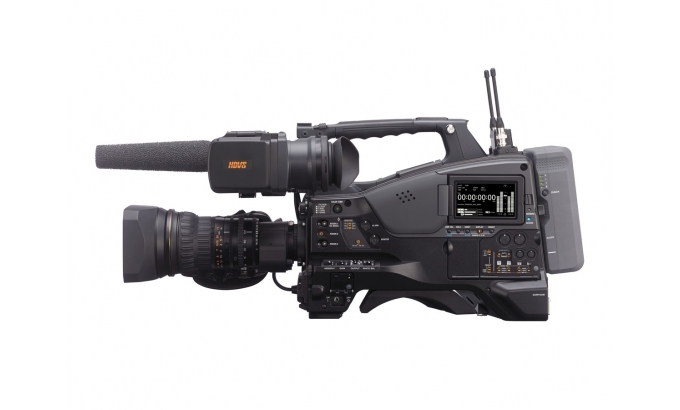 The camcorder, which succeeds its well-received predecessor, the PMW-500, is ideally purposed as an outstanding acquisition tool on a 1080 progressive platform for a broad range of HD production applications, such as ENG, sports productions, live productions and documentaries. • High sensitivity and high signal-to-noise ratio with B4-mount HD lenses. Three newly-developed 2/3-inch-type Power HAD™ FX CCDs produce high-quality pictures with high signal-to-noise ratios (60dB), while maintaining the high sensitivity levels (F11 at 1080/59.94i and F12 at 1080/50i) that the XDCAM range is best known for. • Multi-format recording for versatility of workflow approaches. The PXW-X500 offers a wide array of traditional and new recording formats, including SD formats such as MPEG IMX and DVCAM, HD formats such as MPEG-4 SStP and MPEG HD422, plus XAVC Intra 4:2:2 1080 59.94/50i and XAVC Long 4:2:2 1080 59.94/50p. In early 2015, the PXW-X500 will also support Apple ProResi and Avid® DNxHD®iias further options. 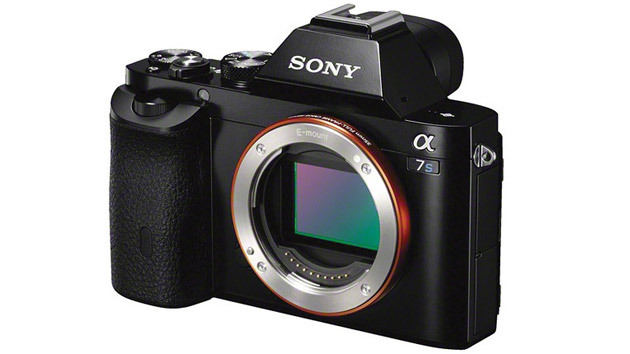 • Powerful Slow & Quick motion up to 120p frame rate. The PXW-X500 offers a powerful ‘Slow & Quick Motion’ function. By utilising the XAVC codec, the X500 can record at a maximum frame rate of 1080/120p, which is a slow motion effect five times higher than the industry standard frame rate of 23.98piii . The newly developed CCD image sensors and the camcorder’s outstanding image processing abilities enable this spectacular performance. Sony also announced the new PMW-RX50 XDCAM portable recorder, which features a compact, lightweight design and is capable of SxS recording and playback. The PMW-RX50 supports the XAVC Intra 4:2:2 1080/59.94p and XAVC Long 4:2:2 1080/59.94p formats, as well as traditional formats such as MPEG HD 4:2:2, 4:2:0, MPEG IMX and DVCAM. It has been created to act as the perfect companion for the PXW-X500, especially in applications such as field shoots and on-site location shoots. The PXW-X500 and PMW-RX50 will be showcased at the Beijing International Radio, TV & Film Exhibition (BIRTV) in China from 27-30 August 2014, and will be available in Europe from October 2014. 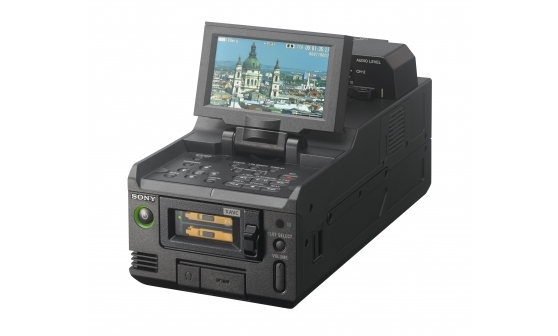 The XAVC Long 4:2:2 software version upgrade for the PMW-300 and PMW-400 XDCAM camcorders andPMW-1000 XDCAM recorder will be available in Europe from December 2014.